The event is taking place at the Colisée Jean-Béliveau at: 1755 Blrd Jacques-Cartier E, Longueuil, QC J4N 1A1, Canada. Click here to make your own itinerary. You can get on the site by lane 20-23-123. Please click here for more information. You can register the day of the event. Please note that registration fee is payable by check or in cash only at the information booth. Colisée Jean-Béliveau at: 1755 Blrd Jacques-Cartier E, Longueuil, QC J4N 1A1, Canada. To pick up a race kit for a colleague, a friend or a family member, you simply have to show his or her proof of registration. You must ask to transfer your bib when you go get your race kit on the Friday or Saturday. You could also do it up to 30 minutes before your race’s departure at the Registration Area. To complete a transfer, we need the full name, city of residence and birthdate of the person you are transferring it to. In addition, we need the consent of the person who is transferring his/her entry, via e-mail or signed letter. You must ask to change your bib when you go get your race kit on the Friday or Saturday. You could also do it up to 30 minutes before your race’s departure at the Registration Area. If you wish run a longer distance, for instance going from 5K to 10K, make sure you bring money or check to pay for the difference. If you want to run a shorter distance, you will not be refunded. There will be a safe location inside the Colisée Jean-Béliveau where you could drop your personal belongings. However, there will be no changing room, so plan ahead! The planned courses are subject to change at any time. The event is sanctioned by FQA (Fédération Québécoise d’Athlétisme). Each race will be timed electronically. This service will be provided by Sportstats. Courses Thématiques commits to be sanctioned by the Fédération Québécoise d’Athlétisme, and also certifies that distances of 5k and above will be accurate and measured properly. Walkers are welcome for runs from 1k to 10k. However, for 21.1k and above, please respect the minimum speed of 8 min/kilometer. 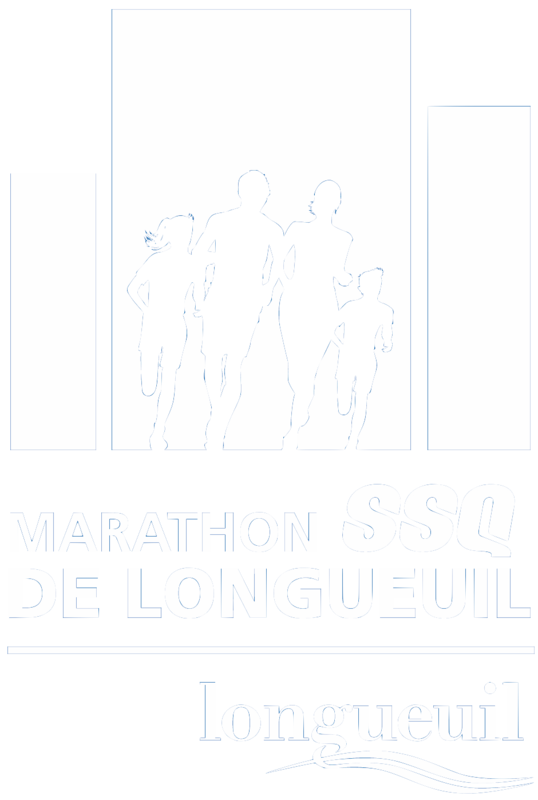 Biausphère and sports drink X1 ProCircuit Endurance will be served at the water stations, which will be set-up approximately every 3k to 4k and at the start and finish lines. You may run with headphones. However, you must run on your right hand side as much as possible in order to enable rescue party and cyclists to move along freely. On the event’ site, there will be a food tent where runners’ meal will be served, exhibitors, the stage for the awards ceremony and Zumba class, as well as many other activities! A delicious full meal will be offered to every runner. The meal is accompanied by pita bread, Liberté yogurt, non-alcoholic cider from Cidrerie Michel Jodoin and a beer from Farnham Ale & Lager Brewery. Please note that you must have your bib in order to receive your meal. You may buy an extra meal for a non-participant at the Registration Area. Results will be available online at www.sportstats.ca in real time and will also be posted on-site the day of the event. Participation medals will be given out to each runner. After each race, there will be an Award Ceremony at the podium. Distinct medals and prizes will be given to the first three men and women of every race. The prizes must be collected the day of the event. Forgotten prizes will not be sent by mail. Distinct medals will be offered to the 3 fastest men and women of each age group.